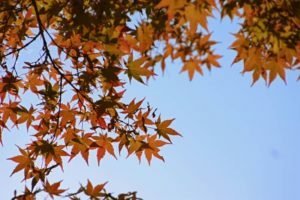 Prepare your garden for cold weather to come by winterizing plants. Many of your prized garden stars survive winter without extra care on your part, but taking time to winterize paves the way for a healthy, productive garden next spring. For tender plants and new additions to the garden, winterizing is vital for cold weather survival. 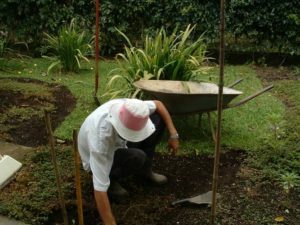 Start the winterizing process by mulching around landscape plants. 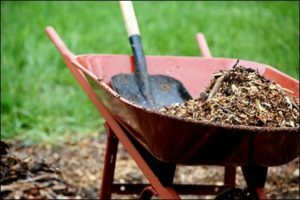 Mulch helps insulate soil and prevent frost heave, a condition that occurs when soil repeatedly freezes and thaws—and pushes plants out of soil. When frost heave occurs, plant crowns and roots are exposed to freezing air and drying winds. When you add fall mulch, aim for a layer that’s 3 to 5 inches deep (deeper in colder regions). Use a material that won’t compact, like straw, chopped leaves or cornstalks, pine straw or clean hay. It’s especially important to mulch shallow-rooted perennials that are prone to frost heave, like blanket flower (Gaillardia), coral bells (Heuchera), pincushion flower (Scabiosa) and shasta daisy (Leucanthemum). Questions about Winterizing? Take advantage of our knowledgeable horticulturist & owner, Jason. He is here to help Visit the Heritage Hill Nursery and garden center now! We are conveniently located, close to Cedarburg, Jackson, West Bend, Slinger, WI.